The range of Adeo screens is complemented by a series of accessories for use during installation or for personalizing the control of the operative phases. 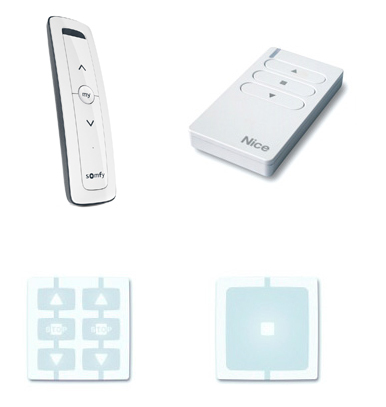 The Adeo control interface has been designed to control the screens’ various motorisations via different command modalities. The hardware card features two types of connection: the first enables the connection of a two-phase motor to a common-forward-reverse-ground cabling; the second connects Adeo screens equipped with radio-integrated motors. 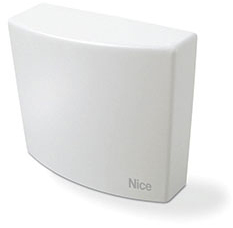 The interface is available in two versions – classic, or with RS232 control system – and can be operated with a power range of 110 ÷ 240 Vac 50/60 Hz. 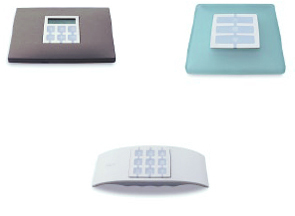 Remote control for management of 1 or more screens with interfaces. Cases for inserting remote control. Adeo offers an extensive range of models for every kind of furnishing: shockproof cases for tabletop and wallmount (white), oval shockproof case for tabletop (available in orange, white or transparent) and square or rectangular wall-mount holder, (available in aluminium, white, graphite, black, transparent, and aqua green). 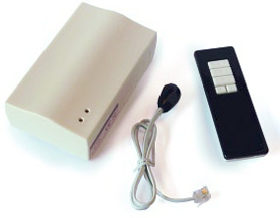 The kit is composed of a receiver control unit, external ir receiver with connection cable (1 m) and tarsmitter. 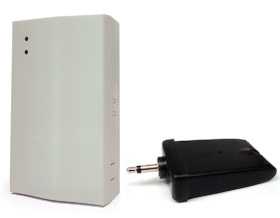 The kit is composed of a RF receiver control unit and a 12V Wireless Trigger. 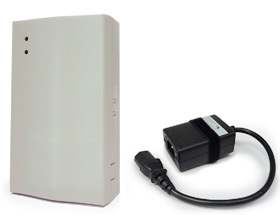 The kit is composed of a RF receiver control unit and a Syncro Power Relay. 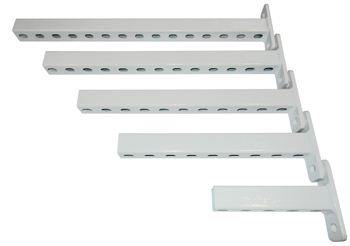 Extension available in glossy powder-varnished white (RAL 9016) for standard brackets supplied for anchoring all types of screens, to be applied in the presence of obstacles on the wall or ceiling. Available in the following sizes: 200 mm (up to 150 Kg), 360 mm (up to 100 kg), 440 mm (up to 80 kg), 520 mm (up to 70 kg) and 600 mm (up to 50 kg). Weights and sizes refer to a single bracket. The use of more extensions allows a higher load-bearing capacity: for example, three 200 mm extensions can bear a weight of 450 kg. 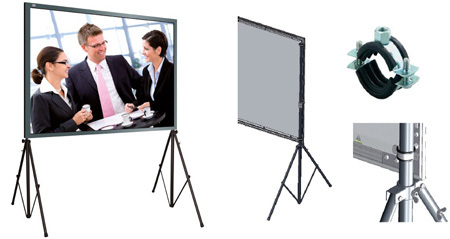 Pair of professional stands for floor assembly of rigid frame screen models FramePro and Plano. The bases are height-adjustable for a minimum 152 cm to a maximum 284 cm.